Why Book Magician Steven Brundage? Nationally Recognized.  Most often recognized as a Top 12 Finalist from the 2016 season of America’s Got Talent, Steven Brundage originally found fame as a YouTube sensation, and has since made numerous national and international television appearances. He is widely known by audiences of all ages, and he consistently draws large crowds to the hundreds of corporate events, private functions and college shows he performs each year. Original. Steven’s hilarious, charming and truly astounding shows include his famous Rubik’s Cube magic, as well as a variety of new and original tricks that you will not see anywhere else. His audiences are consistently stunned and amazed by the originality of his tricks and the creativity in his presentation. His act is truly one-of-a-kind. Interactive. Steven has mastered the art of attention-grabbing. His stage shows and walk-around magic are designed to engage the crowd through audience participation. Your guests don’t just watch the show, they become part of the performance! Watch as your friends and colleagues get caught up in the act, adding an element of humor and a personal touch to every show. Flexible. Steven’s performance is completely adaptive, and can be customized for any size audience and venue. No stage? No problem! Steven can perform just about anywhere in the US or abroad, and his walk-around magic is perfect for events that don’t allow for a dedicated show time. Steven’s magic, humor and personalized presentation translates to audiences of all ages and people from all walks of life. Easy to Work With. Steven is many things – a magician, an entertainer, a comedian – but a diva he is not. All booking is done direct, not through a talent agent, and Steven provides all of his own props and materials. As a one-man show, Steven can easily adapt to changing circumstances, and he knows how to go with the flow. He is responsive, communicative, and always professional.